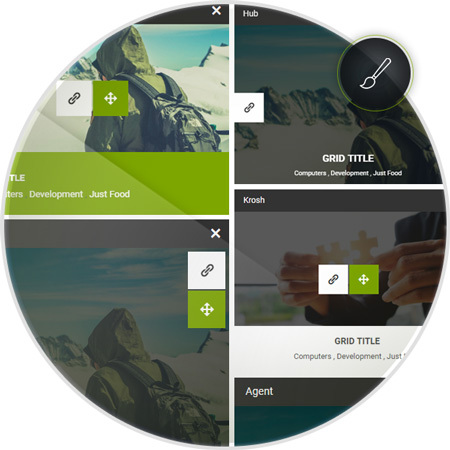 Creating your own customized grid with “Rays Grid” is super easy. 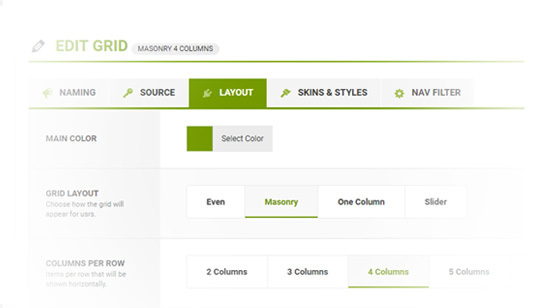 Create, Choose and Customize the grid options with a User Friendly, Well designed Options Panel And Creative Skins to make your site look better and more unique. RAYS Grid is optimized for better performance, we optimized our code to be completely customizable and make the difference with very fast performance. Change the Look-And-Feel of your Site And Make Awesome, Elegant and Easy to Use Skins & Styles With a Range of Different Options And Settings. 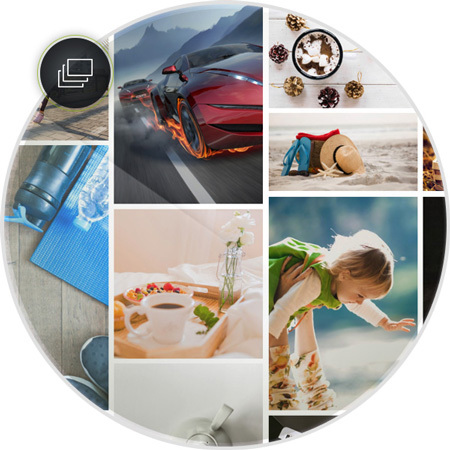 Rays Grid is a Powerful Responsive Grid Builder Plugin for WordPress That Can Build Nice Looking Walls of Unique Awesome Square Items. 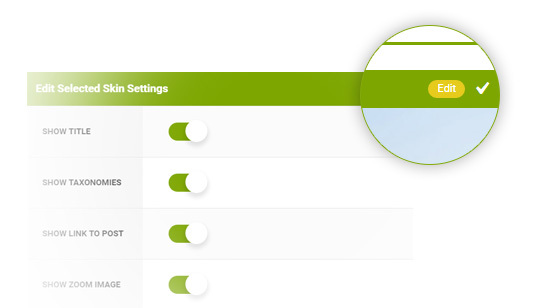 With the Most Elegant Isotope jQuery Plugin Filter & sort magical layouts with an Eye Catchy filter animation. With Max. Number of Rows, Ajax Load More and Infinite Scrolling Options, you can Handle your Grids Pagination. 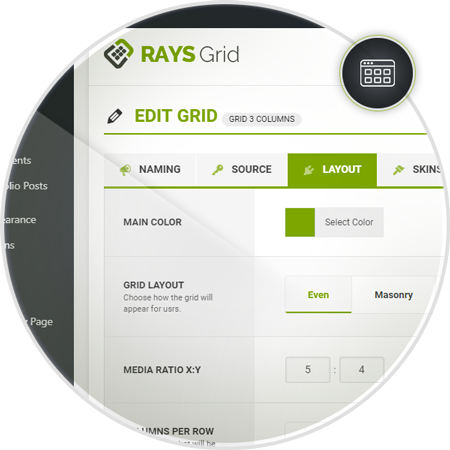 Our RAYS Grid Plugin is Smartly And Fully Supporting all Layouts written in a Right-To-Left (RTL) direction. Before Loading your grid you need to see something different and eye catchy preloader until it loads, Yes you have 10 different styles you can choose from. 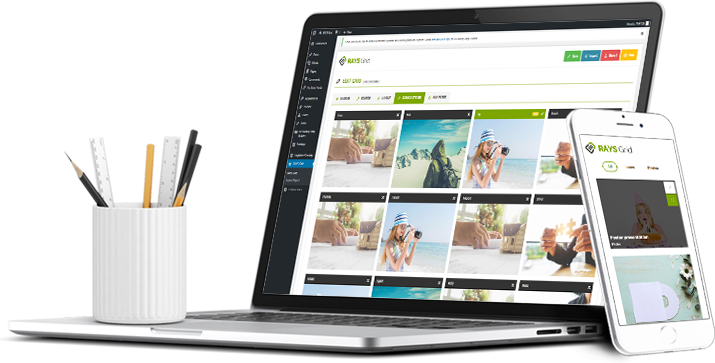 We Added a Full Compatibility with Visual Composer Page Builder WordPress Plugin, once you installed it, a new shortcode for our grid will appear in the shortcodes list. Creative and Unique Grid Filter Styles added with many options to choose from, you can make your grid totally unique and looks nice and easy to use. Creates a grid layout with the specified number of rows and columns. All components in the layout are given equal size. One, but not both, of rows and cols can be zero, which means that any number of objects can be placed in a row or in a column. Easily You Change the Look-And-Feel of your Site And Make it Awesome, Elegant and Easy to Use With Our new Skins & Styles With a Range of Different Options And Settings from the powerfull options panel.